Centre Alliance Senator Rex Patrick has challenged the cotton industry to justify its use of water. Senator Patrick has called for a national debate on what Australia should be farming, giving the country’s environmental outlook. He says he will start the conversation by introducing legislation for a ban on cotton exports. “We live on the driest continent on the planet and yet we are using our precious national water resources to produce a water-intensive crop which we then simply export overseas such that foreign entities can profit,” the South Australian Senator said. “Twenty-seven percent of the entire allocation of irrigation water across the Murray-Darling goes to cotton. It's not in the national interest. The bill to be introduced next week proposes amendments to the Export Control Act 1982 that would make cotton a prohibited good. Representatives of the $2 billion-a-year industry are understandably incensed. The National Irrigators' Council says the idea could send the economy into a depression. Cotton Australia says the ban will not do anything. 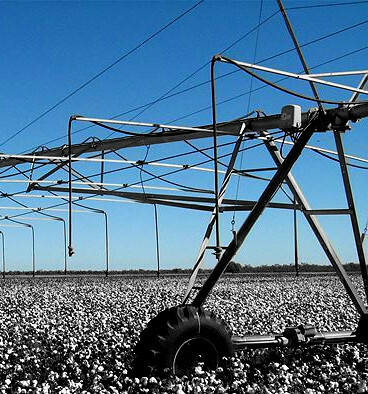 “You could ban the growing of cotton tomorrow and exactly the same amount of water would still be used because it is allocated to the irrigator, or to the irrigation license, to be used as seen fit,” Michael Murray, Cotton Australia's general manager, told the ABC. “It is perfectly legitimate for a society like Australia to have a discussion about how much water should be allocated to the environment and how much allocated for use.